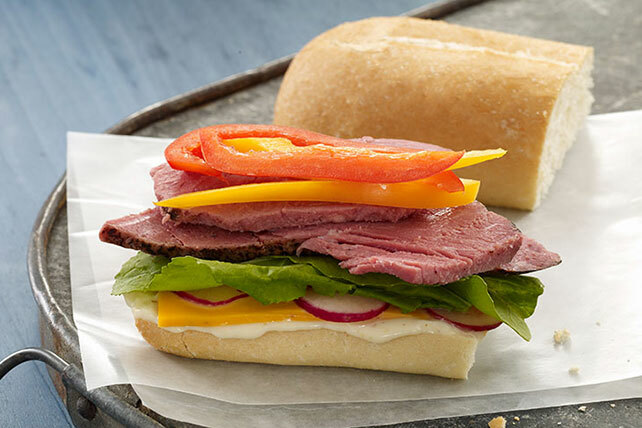 We swapped out the lettuce and tomato for arugula and peppers—and added a few more surprises to this tasty roast beef sandwich. Spread cut sides of roll with Miracle Whip. Substitute your favourite deli meat for the roast beef.